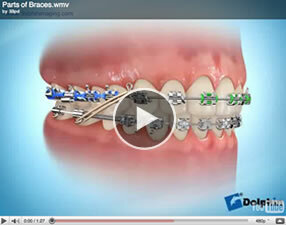 The time while a patient is wearing braces, rather than retainers. 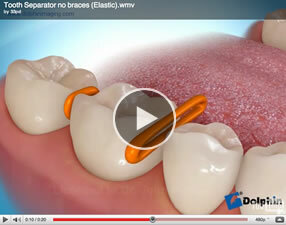 Bonding paste, which is used to attach the braces to the teeth. 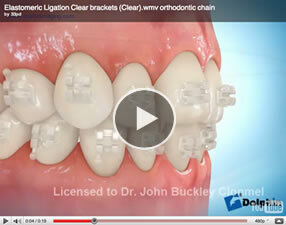 These systems all consist of a series of clear plastic aligners worn over the teeth. They are almost invisible . 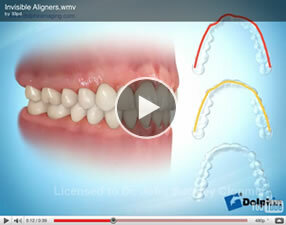 Each aligner is worn for 2-3 weeks before moving onto the next aligner . 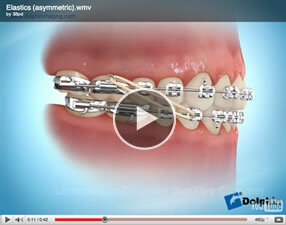 These systems are not suitable for every orthodontic problem. 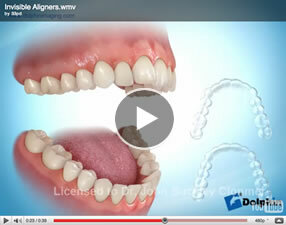 Please see aligners in appliances section. 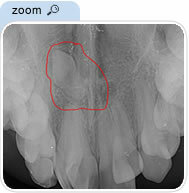 The bone surrounding each tooth. 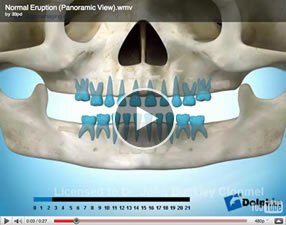 This clip shows a retained deciduous tooth , which interfered with the eruption of the permanent tooth. 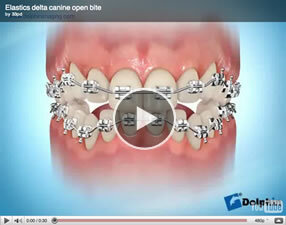 This clip shows an anterior open bite. 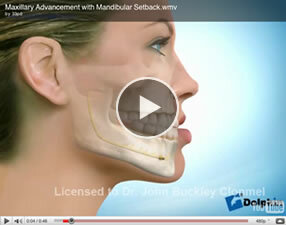 These clips show a mandibular ( lower jaw ) advancement. Relating to the upper and lower dental arches or jaws. 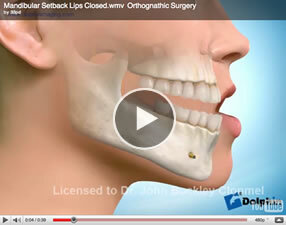 This clip shows a procedure to move the maxilla ( upper jaw ) forwards, and the mandible ( lower jaw) backwards. 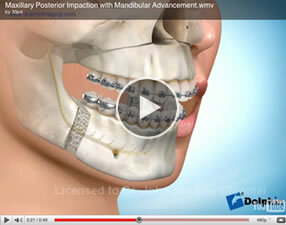 This clip shows a procedure to move the maxilla (upper jaw) upwards more so at the back, and the mandible (lower jaw) forwards. 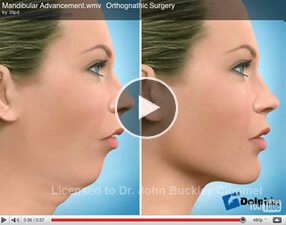 This clip shows a procedure to move the upper jaw upwards and slightly forwards and the lower jaw backwards. 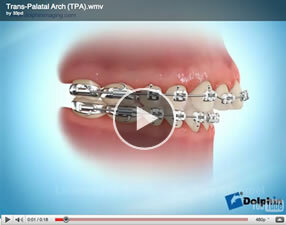 A precisely fabricated fixed orthodontic attachment made from metal, ceramic or plastic that is bonded to the teeth. 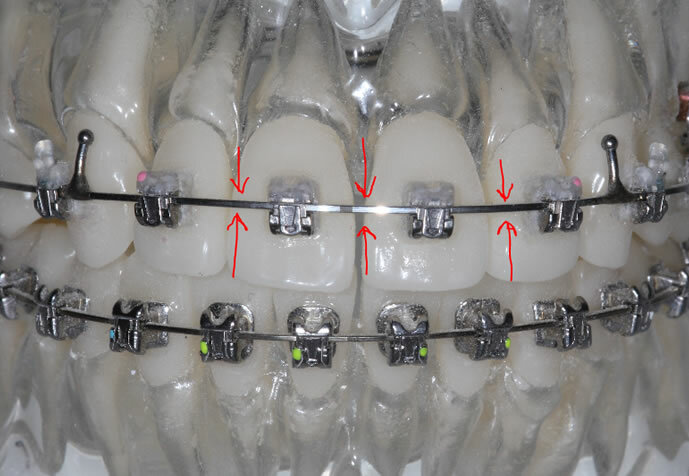 The bracket has a slot that the archwire fits into. 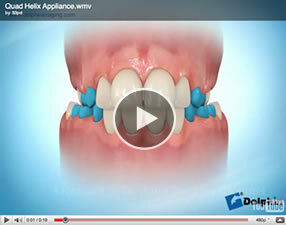 Brushing the teeth is part of an individual’s daily home dental care. 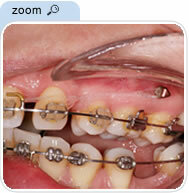 Patients with braces should brush the teeth and braces for 2-3 minutes after every meal and last thing at night . For school children they should be brushed after breakfast , upon returning from school, after the evening meal , and last thing at night. After brushing before you spit out it is worthwhile to swish the froth of toothpaste around your teeth and mouth for about a minute, this will act somewhat like a fluoride mouth rinse . 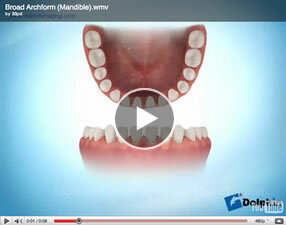 It is best to then spit out the toothpaste but not to rinse with water after brushing. 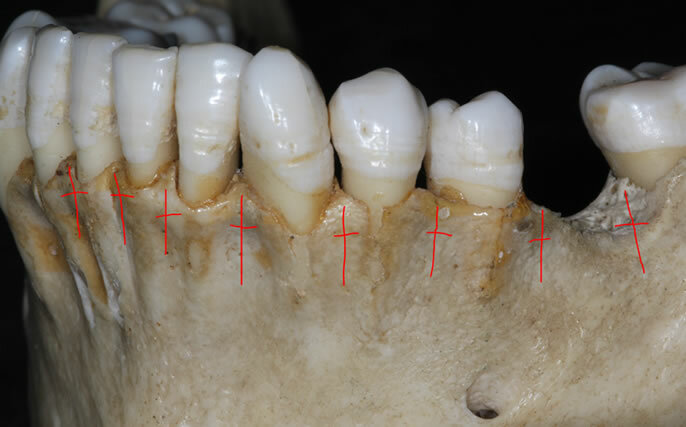 The cheek side of the teeth. 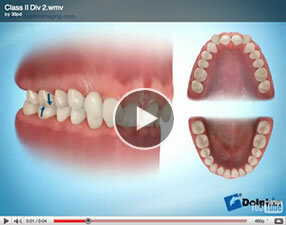 The lower incisors bite 2-4 mm behind the upper incisors. 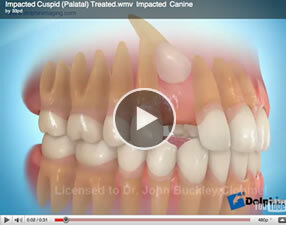 This is the ideal relationship of the teeth. 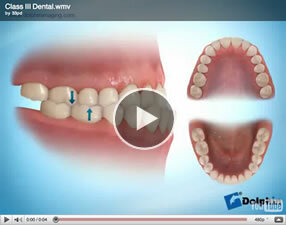 This clip shows the ideal relationship of the teeth. 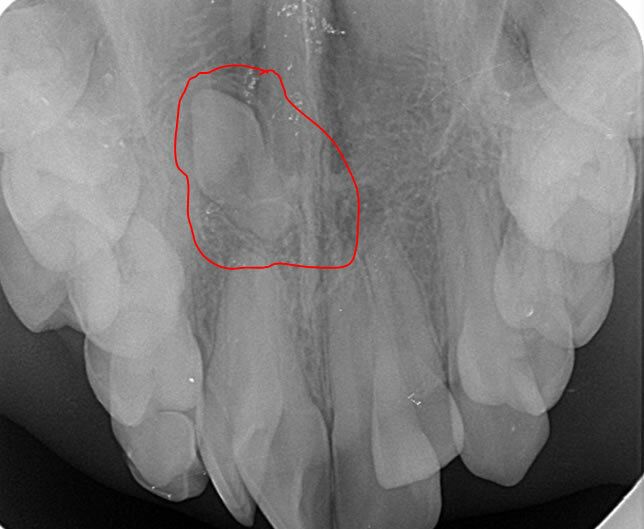 The lower incisors bite further behind the upper incisors then normal and the upper incisors are retroclined. 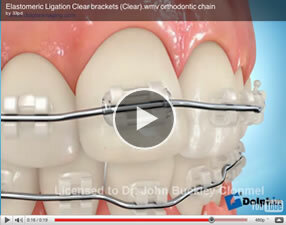 These clips show teeth with a class 2 division 1 incisor relationship. 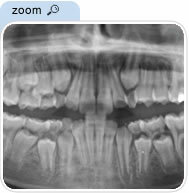 The lower incisors bite further behind the upper incisors then normal and the upper incisors are retroclined. 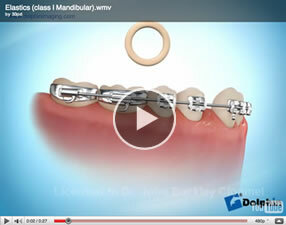 These clips show teeth with a class 11 division 11 incisor relationship. 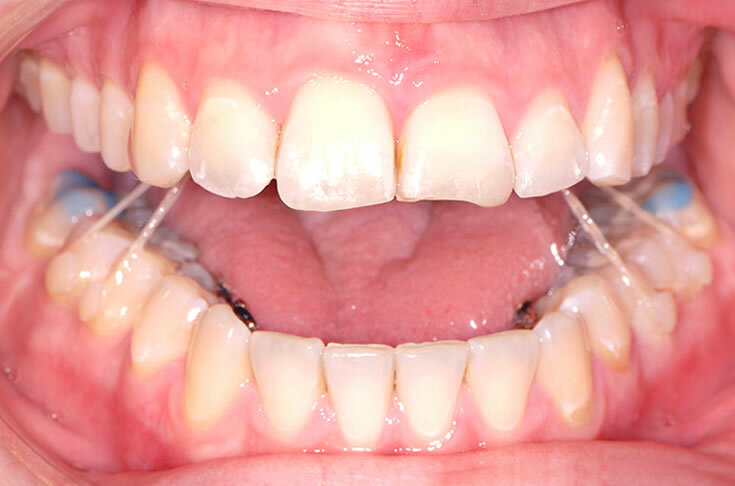 The lower incisors bite further forwards of the upper incisors than normal. 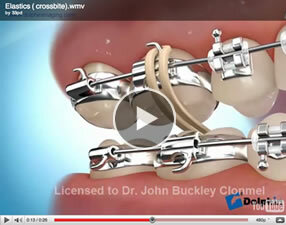 These clips show teeth with a class 111 incisor relationship. 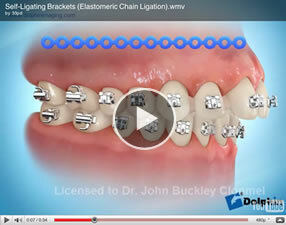 These systems all consist of a series of clear plastic aligners worn over the teeth. They are almost invisible . Each aligner is worn for 2-3 weeks before moving onto the next aligner . 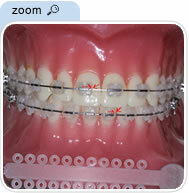 These systems are not suitable for every orthodontic problem. 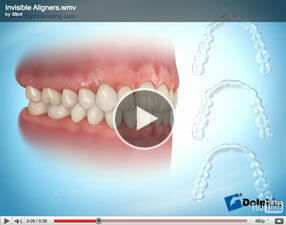 Please see aligners in appliances section. 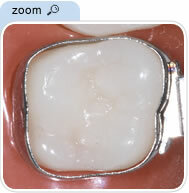 Often used to describe the loss of mineral from the tooth surface immediately surrounding an orthodontic appliance. It is caused by excessive intake of sugar and accumulation of bacteria (plaque) on the tooth surface and insufficient tooth brushing. 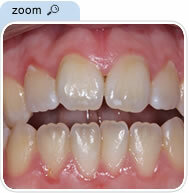 It results in permanent discolouration of the tooth surface and cavitation if extreme. 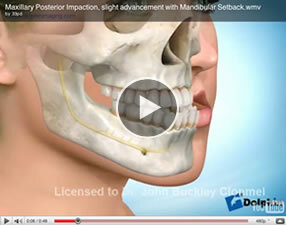 The process of removing dental compensations, using fixed appliances, where the teeth have attempted to naturally compensate for a mismatch in the jaw relationship. 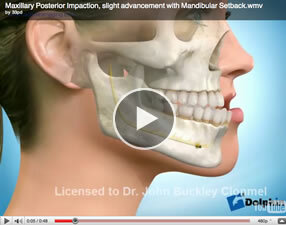 Decompensation is often carried out prior to surgical correction of jaw relationships. This may involve wearing upper and lower braces for 6-12 months prior to surgery. 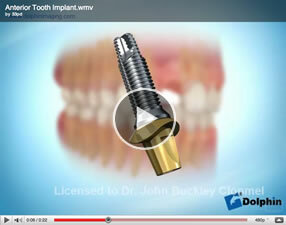 The statutory body which regulates the practice of dentistry in the Republic of Ireland. The members are appointed from the dental profession, the universities, the medical council, the government and the public. 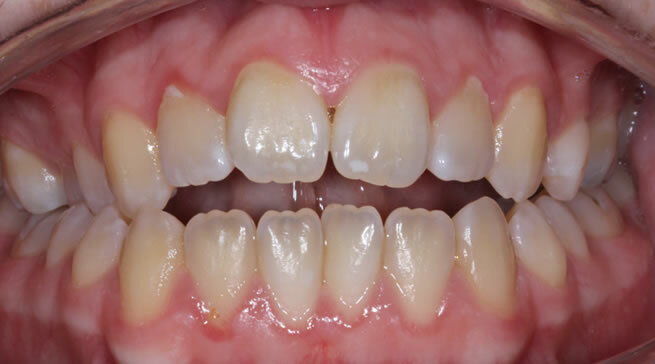 Also known as deep overbite, this occurs when the upper front teeth overlap the bottom front teeth in a vertical direction to an excessive amount. The process by which teeth enter into the mouth. The following clips show the normal eruption process. 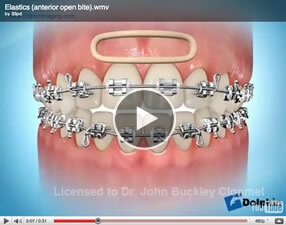 The line at the bottom of the clips indicates the patients age in years. 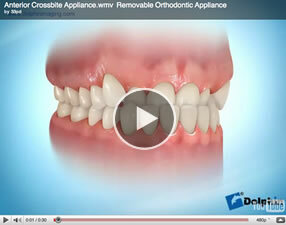 A clear appliance worn after braces to keep the teeth straight. 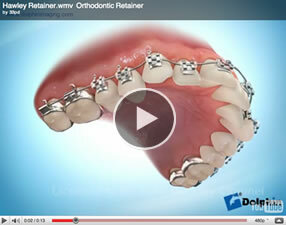 An orthodontic appliance to increase the width of the upper dental arch or jaw. 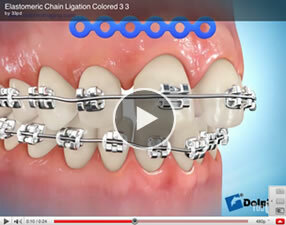 This clip shows a quadhelix which is a fixed expansion appliance. 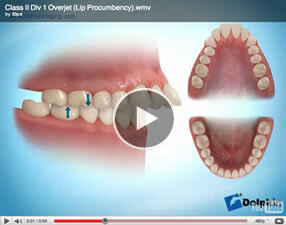 It is not removable by the patient. 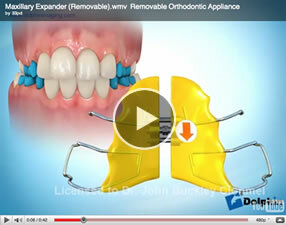 This clip shows a removable expansion appliance for the upper teeth . 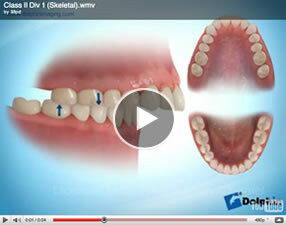 It is removable by the patient . 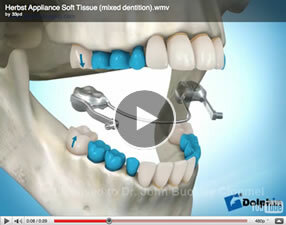 The midline expansion screw is turned once a week or more by the patient or their parent. 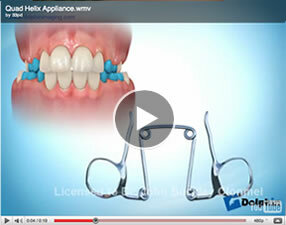 This clip shows a hyrax expansion appliance . 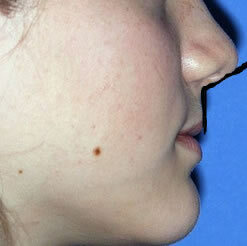 It is not removable by the patient. 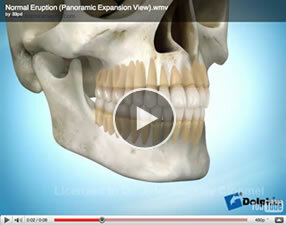 The midline expansion screw is turned once or twice a day. 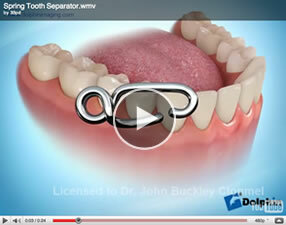 This clip shows a Haas expansion appliance . 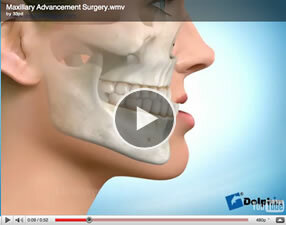 It is not removable by the patient. 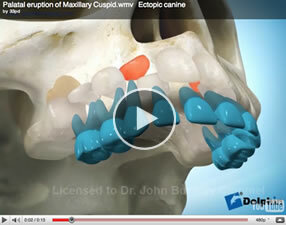 The midline expansion screw is turned once or twice a day. 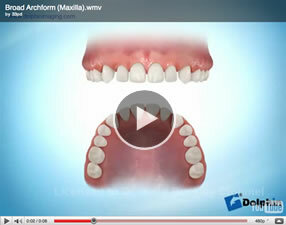 The removal of a tooth . 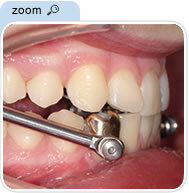 Extraction of teeth for orthodontic reasons is something which is only done after it has been considered carefully. 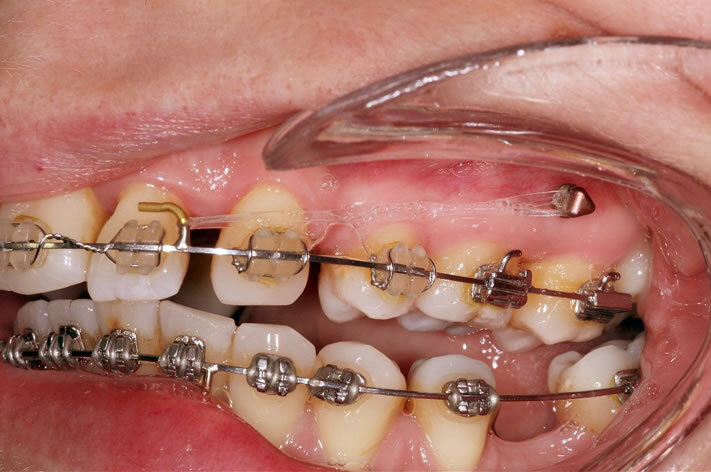 If an equally good result or a better orthodontic result can be achieved without extracting teeth then the decision is a “no brainer”. However in some orthodontic cases the best result can only be achieved by extracting teeth. 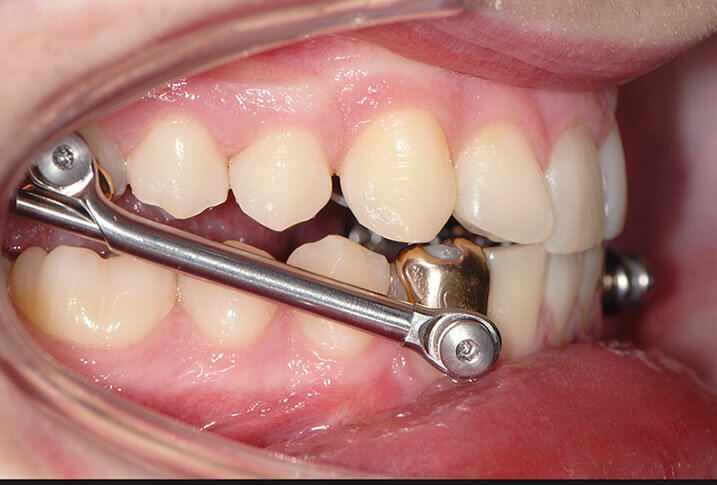 It is important to appreciate that when teeth are extracted for orthodontic reasons that the spaces created by the orthodontic extractions will be closed at the completion of orthodontic treatment. 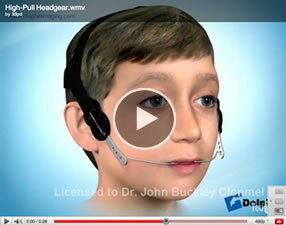 Ultimately the patient or parent can make a decision in an informed way once their options are explained to them. 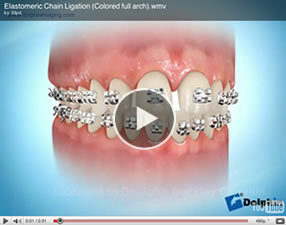 These clips show various cases where extractions were used to achieve specific orthodontic objectives. 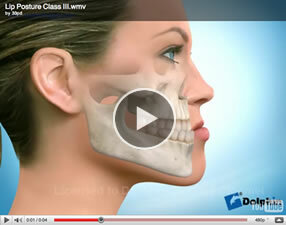 This clip shows a patient with protrusive upper and lower lips , upper teeth which are sticking out too far, and crowding in the upper and lower jaws. 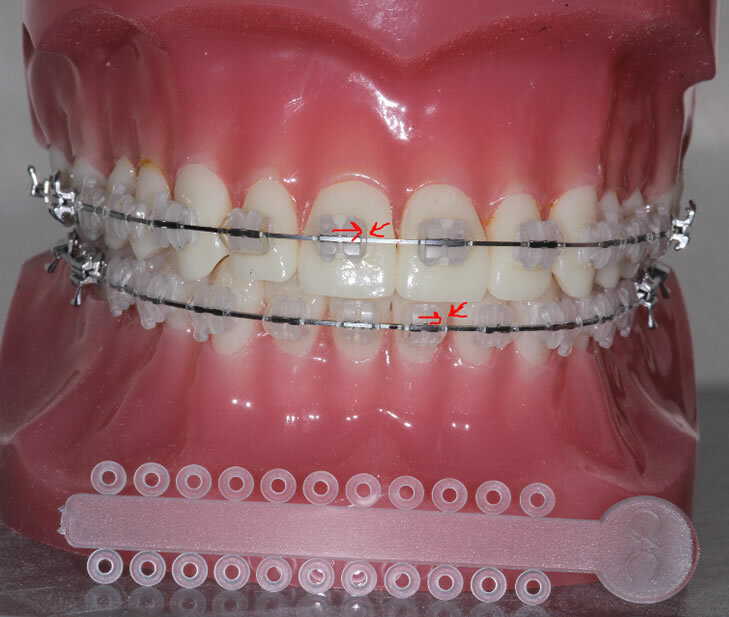 The orthodontic objectives are to retract the protrusive upper and lower lips, to retract the upper and lower front teeth and to correct the crowding problem. 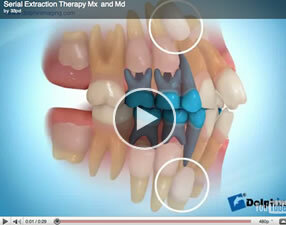 To achieve these treatment objectives four first premolars were extracted. 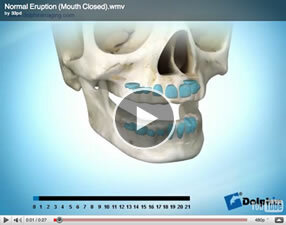 This clip shows a patient whose lips are in a good position there is crowding of the upper and lower teeth. 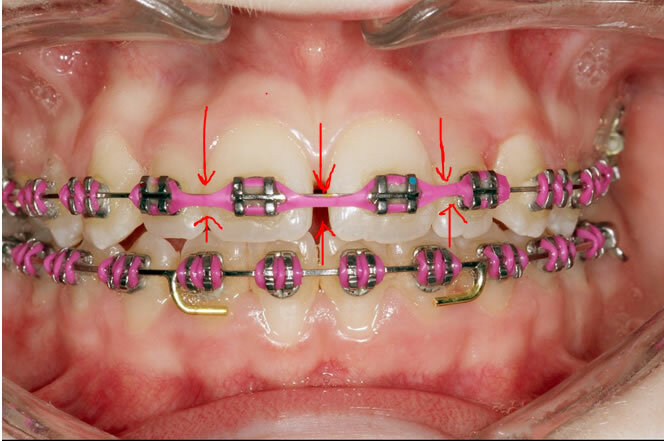 The treatment objective is to correct the crowding.It was felt that sufficient space could not be created by other appropriate orthodontic means than extraction. 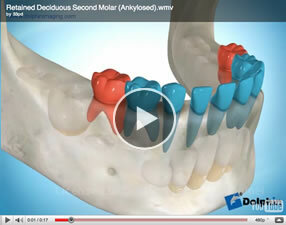 To achieve this objective four second premolars were extracted. 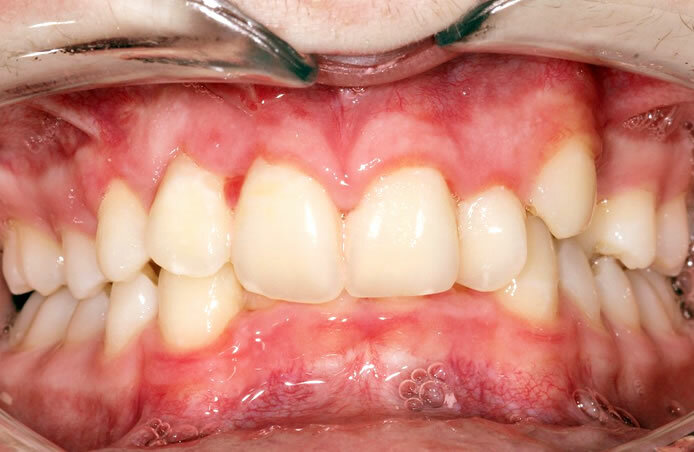 This patient had a protrusive lower lip, lower front teeth biting in front of the upper front teeth , and crowding of the upper and lower teeth . 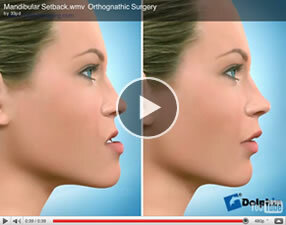 The treatment objectives were to retract the lower lip, to retract the lower front teeth so that they would bite behind the upper front teeth as is the normal relationship and to correct the crowding problem. 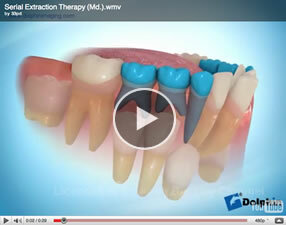 It was felt that these treatment objectives could not be achieved without extractions. 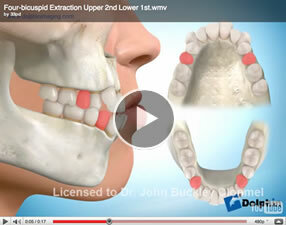 Upper second and lower first premolars were extracted. 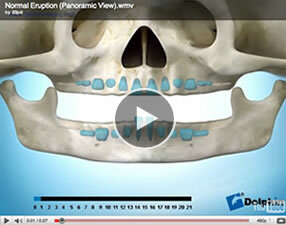 The following two clips describe the same case where the lower teeth are straight , but the upper lip is protrusive , the upper teeth stick out and are crowded. 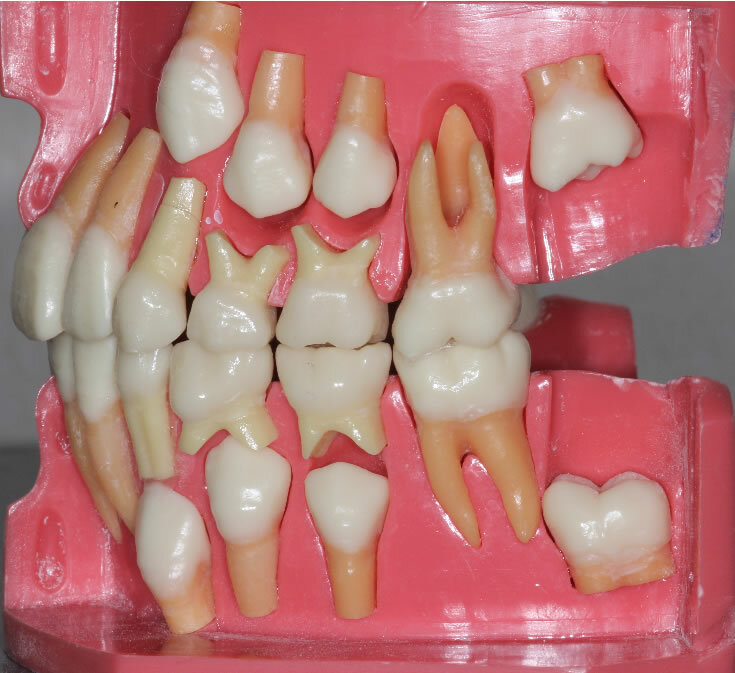 The treatment objectives are to create enough space to retract the upper teeth and consequently the upper lip ,and to correct the crowding of the upper teeth. 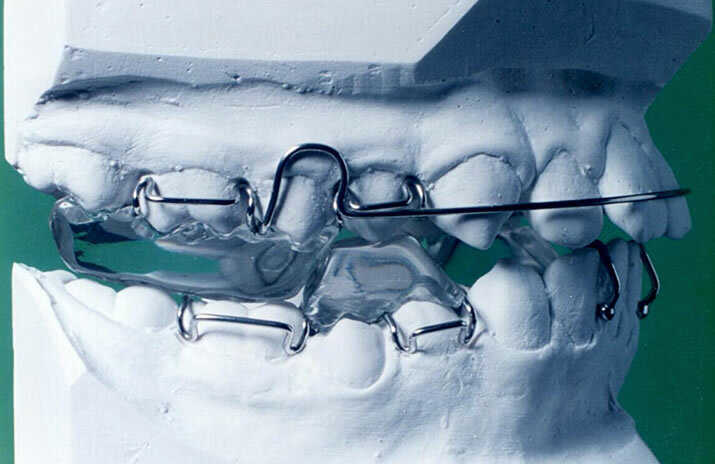 In many cases which are similar to this but possibly a little less severe it is possible to create enough space in the upper jaw to achieve the treatment objectives outlined above without extractions , by using for instance headgear or a forsus type appliance amongst many other equally good appliances. It was decided here to extract both upper first premolars to achieve these objectives . 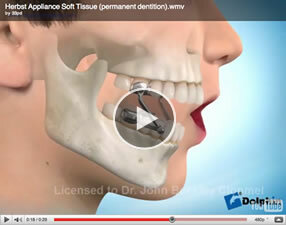 Often the treatment plan reflects the patients preferences regarding which appliances they are prepared to wear. 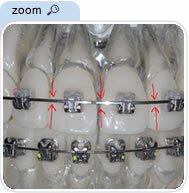 A wire appliance used with headgear. 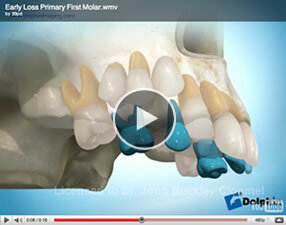 Primarily used to move the upper first molars back, creating room for crowded or protrusive front teeth. 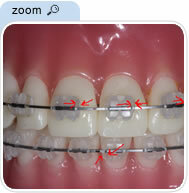 The facebow has an internal wire bow and an external wire bow. 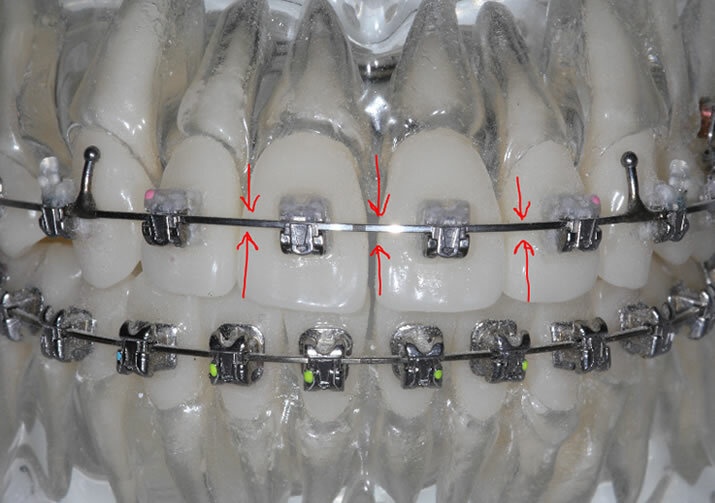 The internal bow attaches to the buccal tube on the upper molar bands inside the mouth and the outer bow attaches to the breakaway safety strap of the headgear. 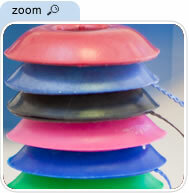 These three clips illustrate a facebow being worn with three different types of headgear, cervical , combination, and high pull . 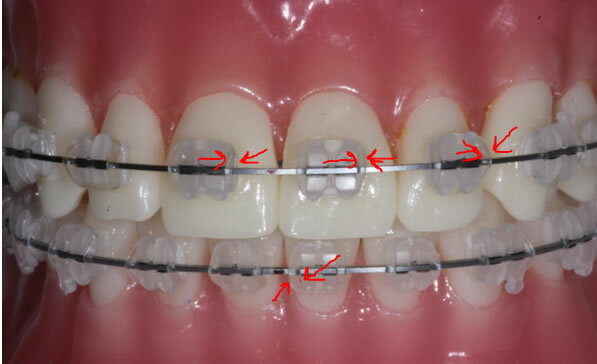 This provides a constant light force to correct a situation where the upper teeth are too far in front of the lower teeth. 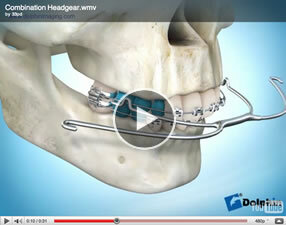 On certain occasions it maybe an alternative to headgear. 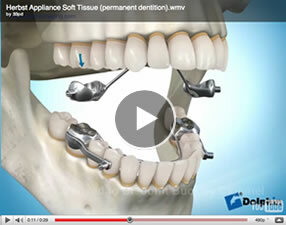 Appliances that utilize the muscle action produced when speaking, eating and swallowing to produce force to move the teeth and align the jaws. 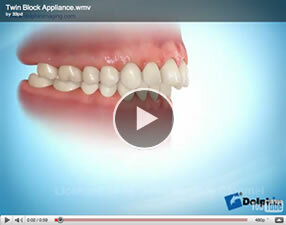 They are also known as orthopaedic appliances with names such as twin block or Herbst appliances. 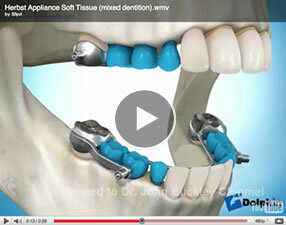 Clip of twin block appliance. 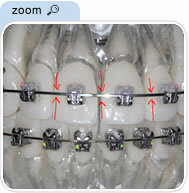 These three clips illustrate a facebow being worn with three different types of headgear, cervical , combination, and high pull . 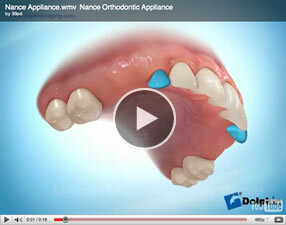 A type of functional appliance. 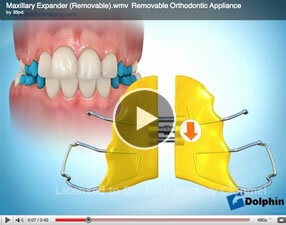 This appliance is used to move the lower jaw forward. 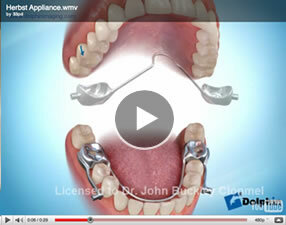 This clip shows the Herbst appliance being used in a patient who has both deciduous ( baby ) and permanent teeth. 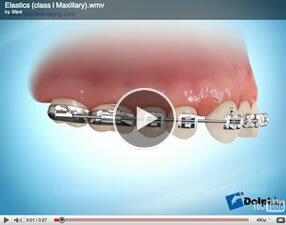 These two clips show the Herbst appliance being used in an older patient when all the deciduous ( babyteeth) are gone and have been replaced by permanent teeth. 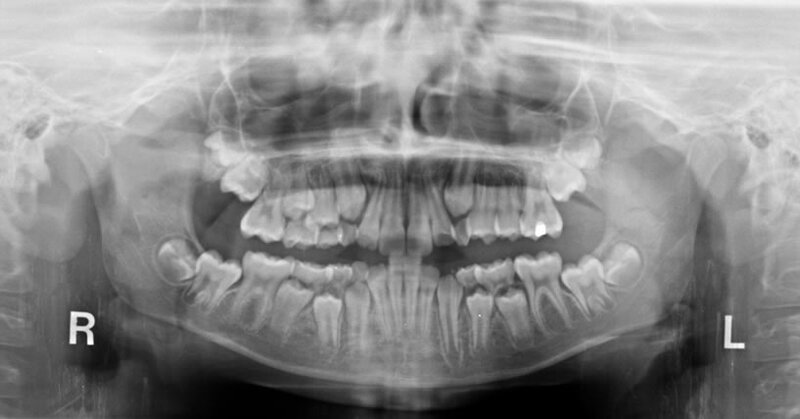 The developmental absence of teeth . 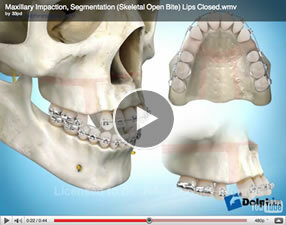 This clip shows a situation where a patient’s upper right lateral incisor fails to develop. This clip shows an impacted canine. 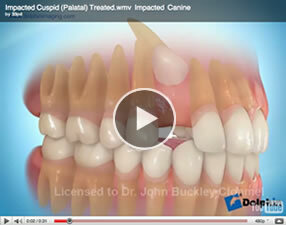 These clips show impacted upper second premolars due to early loss of the baby teeth. 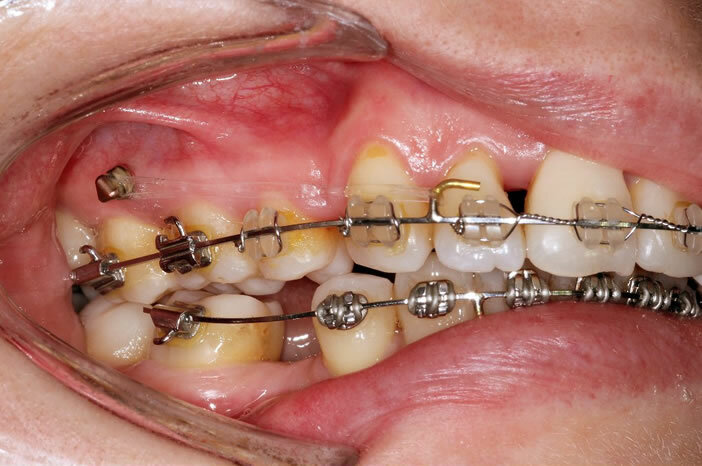 A situation in which a tooth or group of teeth are positioned below the level of adjacent teeth commonly due to ankylosis (see ‘ankylosis’). 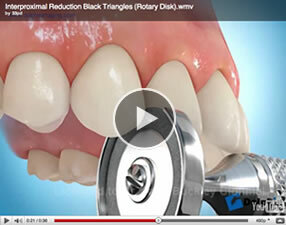 Removal of a small amount of enamel from between the teeth either to provide space for relief of crowding or to eliminate triangular gaps ( black triangles) between the teeth. 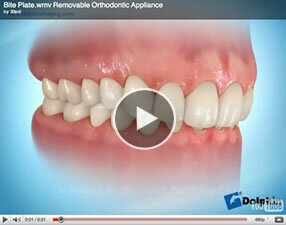 Also known as reproximation, slenderizing, stripping, enamel reduction or selective reduction. 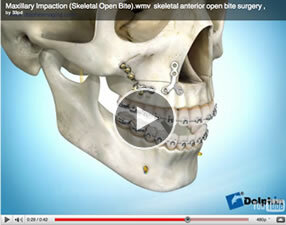 These two video clips show interproximal reduction for relief of crowding. 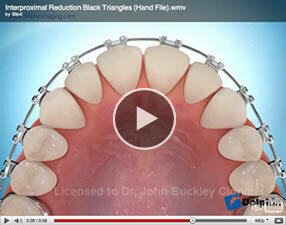 These two video clips show interproximal reduction to eliminate “black triangles” i.e. 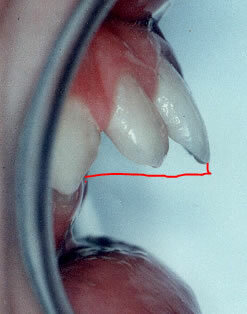 gaps between the teeth near the gums. 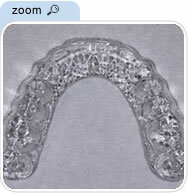 The published scientific work on invisalign however suggests that it is only effective at treating very minor malocclusions. 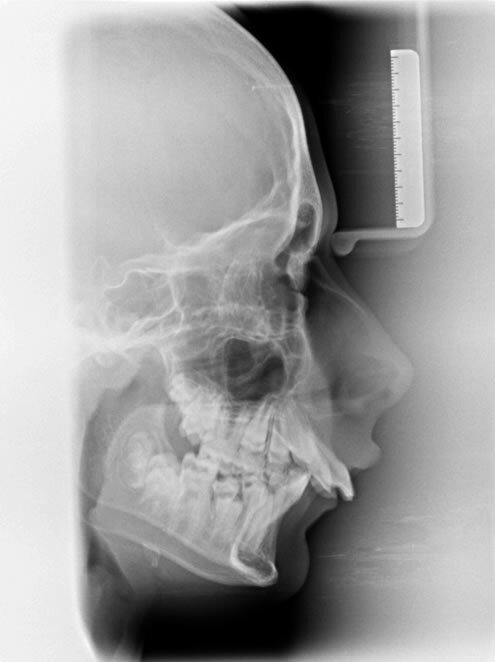 A radiograph of the side of the face and skull taken in a standardised reproducible position. 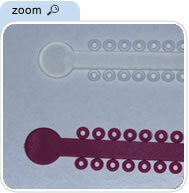 A small elastic o-ring, shaped like a doughnut, used to hold the archwire in the bracket. 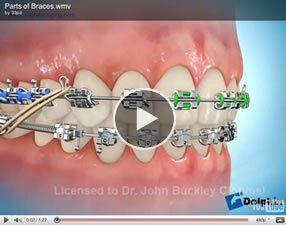 Orthodontic braces worn on the inside of the teeth. 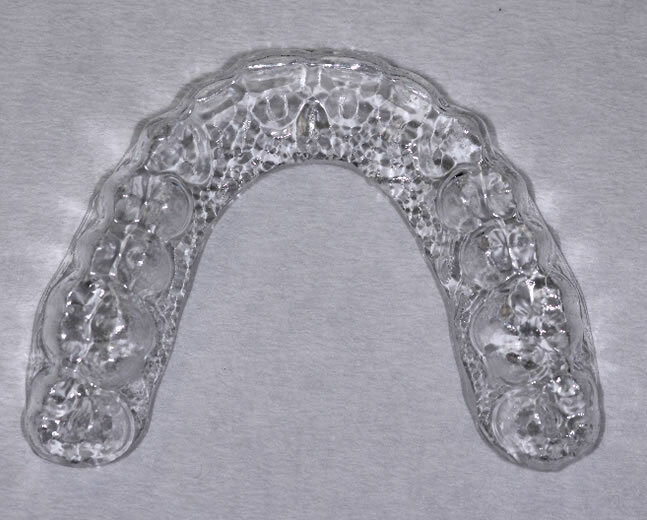 A somewhat controversial appliance it is used to attempt to move the lower molars back and possibly the lower front teeth forward, creating room for crowded front teeth. 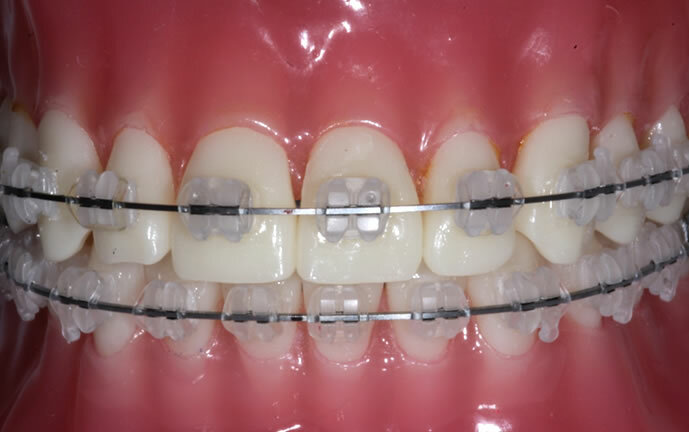 The lip bumper is an internal wire bow that attaches to the buccal tubes on the cheek side of the lower molar bands inside the mouth. 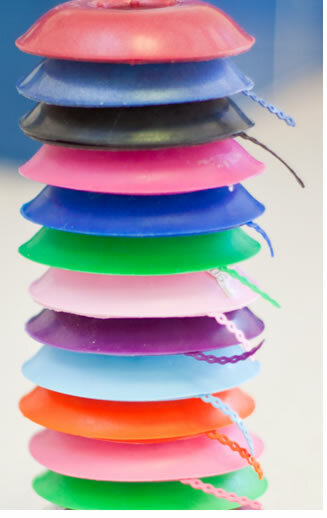 The front portion of the bow has an acrylic pad or bumper that rests against the inside of the lower lip. 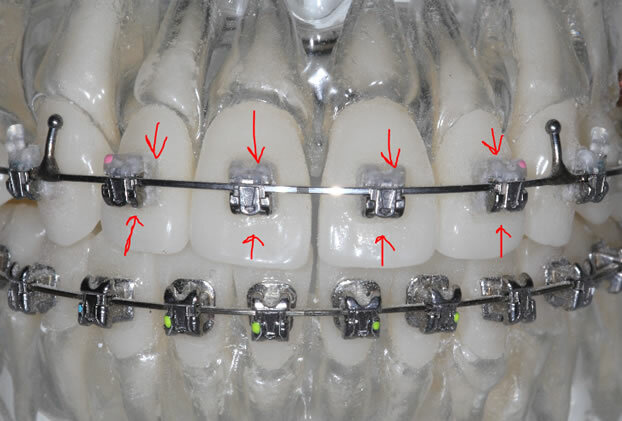 The lower lip muscles apply pressure to the bumper creating a force that it is suggested by some orthodontists moves the molars back. It is controversial as to exactly what it achieves. 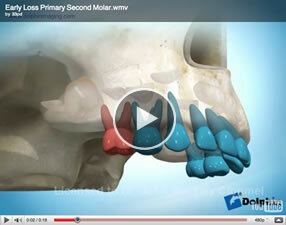 The is a chamber present in the upper jaw and closely associated with the roots of the upper molar teeth. 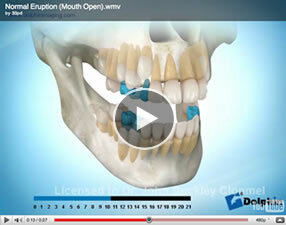 The following clips show the normal eruption process. 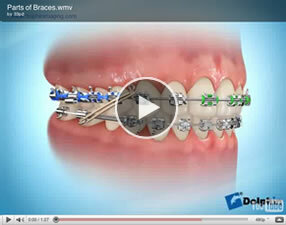 The line at the bottom of the clips indicates the patients age in years. 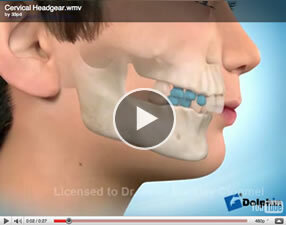 A removable device used to protect the teeth and mouth from injury caused by sporting activities. 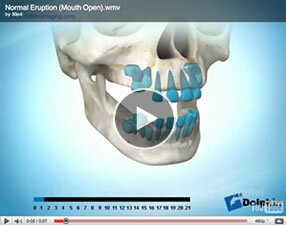 The use of a mouthguard is important also for orthodontic patients. 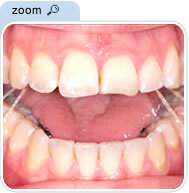 A malocclusion in which the teeth do not make contact with each other. 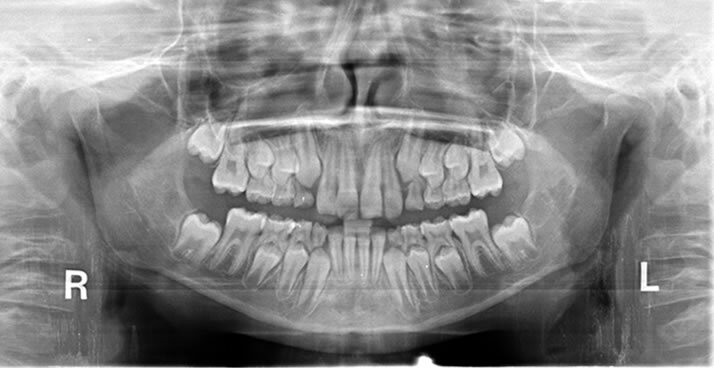 With an anterior open bite, the front teeth do not touch when the back teeth are closed together. 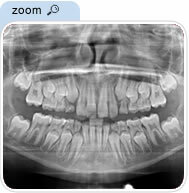 With a posterior open bite, the back teeth do not touch when the front teeth are closed together. 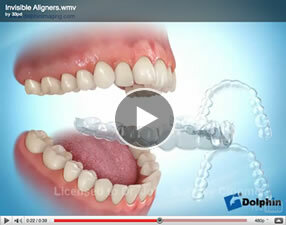 A type of aligner, these systems all consist of a series of clear plastic aligners worn over the teeth. 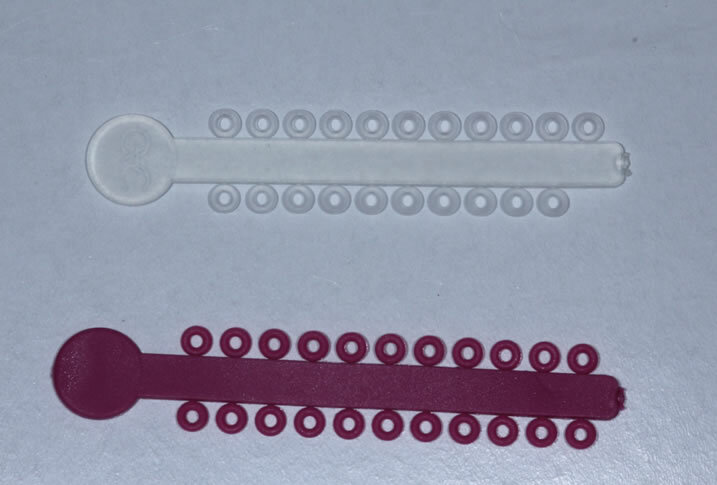 They are almost invisible . Each aligner is worn for 2-3 weeks before moving onto the next aligner. 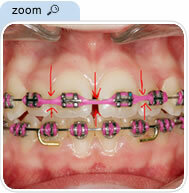 These systems are not suitable for every orthodontic problem. 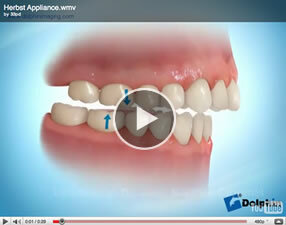 Please see aligners in appliances section. 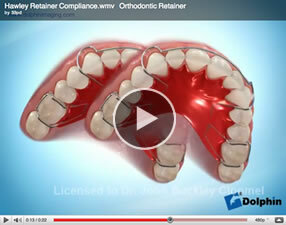 Often a misleading term as the practitioner involved may not be an orthodontist . 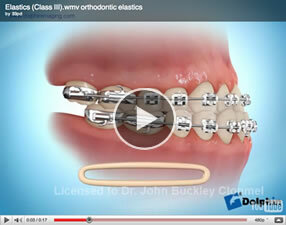 It does not mean that the practitioner has any recognised postgraduate training or qualification in orthodontics. . 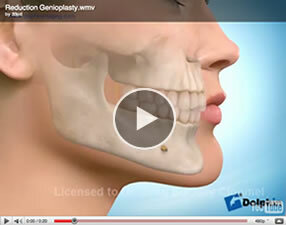 It merely means that the practitioner has chosen to no longer perform other general dental procedures like fillings , extractions and dentures etc. 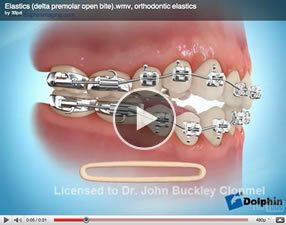 Often a misleading term as the practitioner involved may not be an orthodontist . 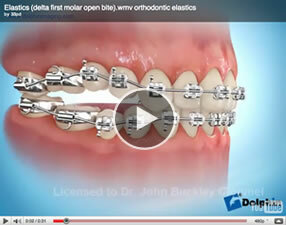 It does not mean that the practitioner has any recognised postgraduate training or qualification in orthodontics. It merely means that the practitioner has chosen to no longer perform other general dental procedures like fillings , extractions and dentures etc. 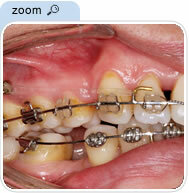 The specialty area of dentistry concerned with the diagnosis, supervision, guidance and correction of malocclusions. 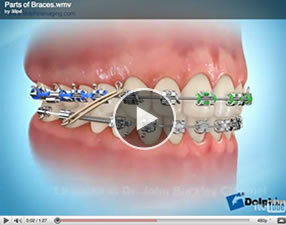 The formal name of the specialty is orthodontics and dentofacial orthopaedics. 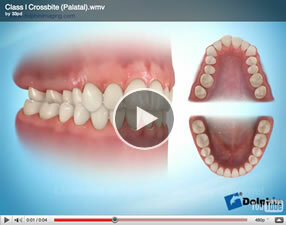 A specialist in the diagnosis, prevention and treatment of dental and facial irregularities . Only those who have completed the requirements for specialisation of the Irish Dental Council may call themselves an “orthodontist”. Surgical procedure involving cutting the bone. 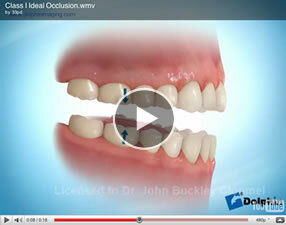 Which is used to facilitate moving one or both jaws surgically. 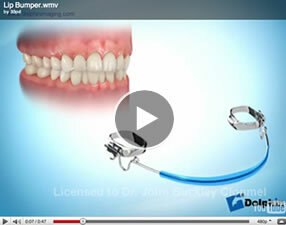 You may find the following video clips to be informative. 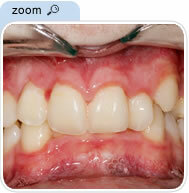 Surgical correction of a gummy smile. The overlap of the lower incisors by the upper incisors in the vertical plane. 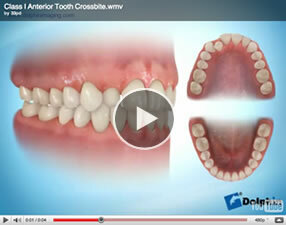 Normally the upper incisor covers one third of the lower tooth . The distance between the front surface of the lower incisors and the front surface of the upper incisors. 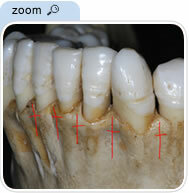 The front surface of the upper incisors is usually 2-4 mm ahead of the front surface of the lower incisors. 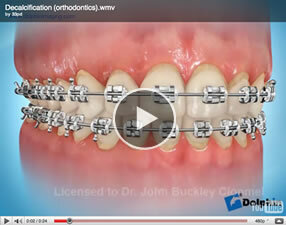 Often a misleading term as the practitioner involved may not be an orthodontist . 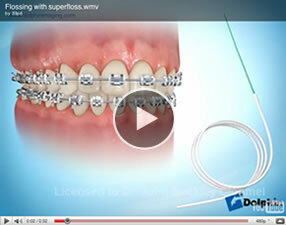 It does not mean that the practitioner has any recognised postgraduate training or qualification in orthodontics. 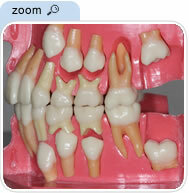 It merely means that the practitioner has chosen to no longer perform general dental procedures like fillings , extractions and dentures etc. 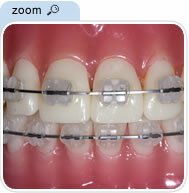 Orthodontic treatment to prevent or reduce the severity of a developing malocclusion (bad bite) or crooked teeth. 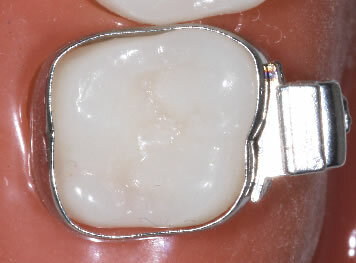 A form of fixed expansion appliance. 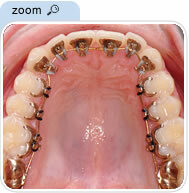 An orthodontic appliance that can be removed from the mouth by the patient. 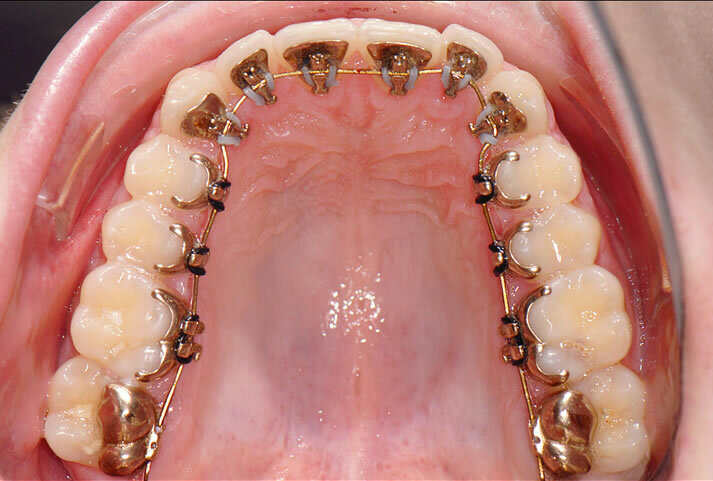 Removable appliances are used to move teeth, align jaws and to keep teeth in their new positions when the braces are removed (retainers). 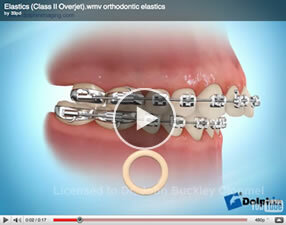 Please see orthodontic appliances section. An orthodontic appliance used following orthodontic treatment in order to maintain the corrected tooth positions whilst the surrounding bone and gum tissue adapt to the new positions. 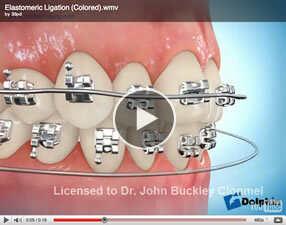 Please see orthodontic appliances section. 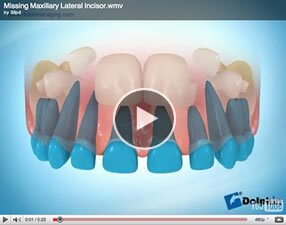 The upper or lower incisors are inclined or facing backwards to a greater degree than normal. 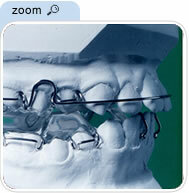 An elastic o-ring placed between the teeth to create space for placement of bands. Separators are usually placed between the teeth a week before bands are scheduled to be cemented to the teeth. 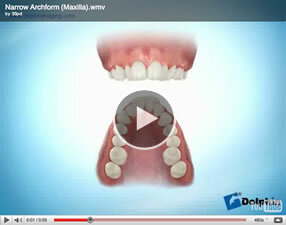 The relationship between the dental arches. 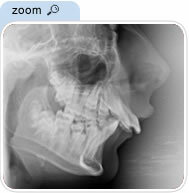 A fixed appliance used to hold space for an unerupted permanent tooth after a primary (baby) tooth has been lost prematurely, due to accident or tooth decay. 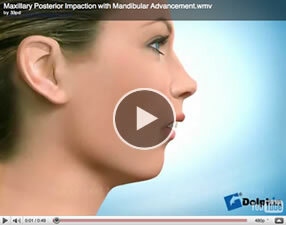 Tads are also known as mini-implants. 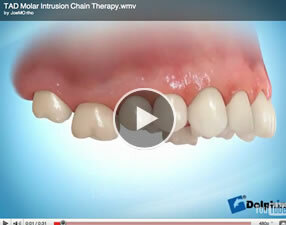 They are used to control the movement of the teeth in certain situations. 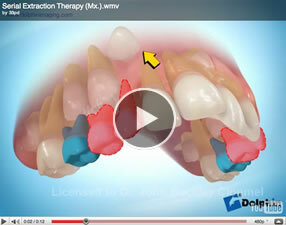 Please see the available treatments section. 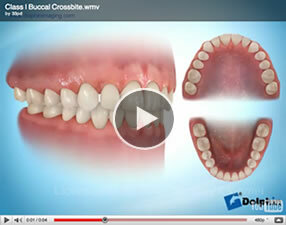 A bar which crosses the roof of the mouth and is used to stabilise or to derotate the upper back teeth.